Blaker-Kinser opened in the Fall of 1994 with 452 students and eighteen teachers under the leadership of principal Phil Swearingen and Vice Principal Laurie Sacknitz. The teachers were involved in many of the decisions that would help shape how the school would be run. Because the staff was small, teachers wore many hats to fill the roles that needed to be filled in running a student-centered program. Today the 850 students at Blaker-Kinser can participate in a number of extracurricular activities sponsored by the staff. These activities include the Forensics Club, Junior Leaders of Agriculture, the Academic Pentathlon, the Science Olympiad, and the Youth Act Club. Blaker-Kinser Jr. High School was named for two roads which intersect in front of the school. 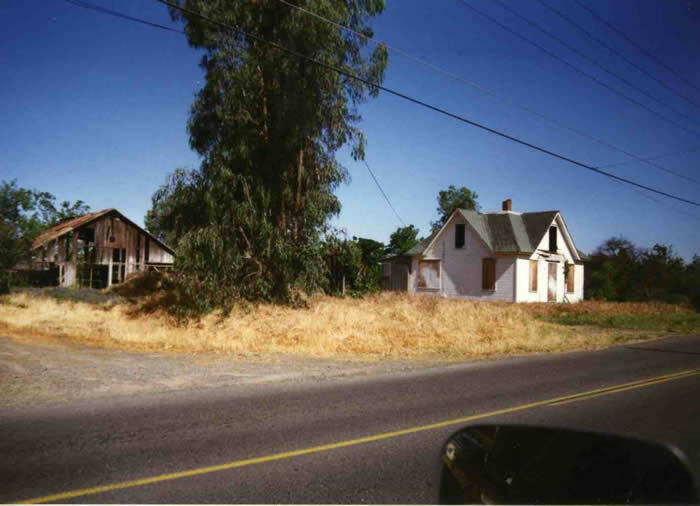 Blaker Road was named after a family who built a ranch in western Ceres in the 19th century and whose farm house was located where the east parking lot of the school is now located. The origin of the name of Kinser Road has eluded staff researchers. Most of the school’s students and staff originally came from Mae Hensley Jr. High school which had close to 1300 students during the 1993-94 school year. With a new school proposed as a way to alleviate the overcrowding at Mae Hensley Jr. High, land was purchased in the late 1980s at the corner of Blaker and Kinser Roads. The land bordering Blaker Road had once belonged to the Blaker family who acquired the land in 1900. The Blakers had arrived in the area from Holland in the mid -1800s. 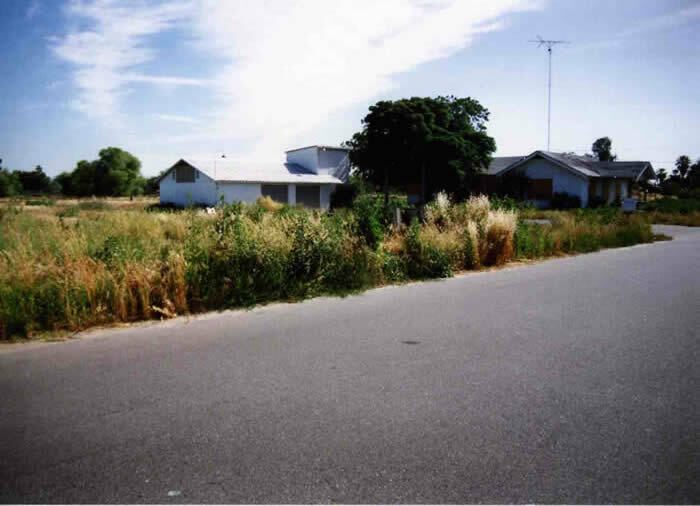 After purchasing the property, they ran a dairy and later planted figs and grapes. They eventually built chicken houses to supply the family with eggs to sell. The first house was built by A. J. Blaker, and was later given to Fred and Ella Blaker as a wedding present in 1912. Their children, Jess and Edith, were born there. Jess Blaker attended the school’s dedication in 1994. Ten acres of the land from where the Blaker-Kinser office is located to the west end of the softball fields were owned by Jim and Colleen Bergamachi who attended the 10th anniversary celebration. Mrs. Bergamaschi’s grandparents, Frank and Maria Zelio bought the land in 1936. Colleen’s father, Guy Lamb bought the property from his wife’s parents, the Zelios, in March 1942 and moved his family to a house that stood where the Blaker-Kinser office now stands. Over the years Blaker-Kinser has doubled in size and has gone through several administrator changes. The principals at Blaker-Kinser have been Phil Swearingen, Michael Gonzales, Geoff Barney, Debra Bukko and Kristi Britton. In 2005 Blaker-Kinser was designated a California Distinguished School and a Title1 Academic Achievement School. As the second junior high school built in Ceres, Blaker-Kinser Junior High was built in 1994 in two main phases with expansions occurring as needed. The first phase was completed in 1994 with a cafeteria, office building, classroom building, science building/library, six relocatable classroom buildings and a relocatable physical education facility. The second phase of construction was completed in March 1998, adding a gymnasium, industrial technology building, home economics building, art building, music building, and six more relocatable classroom buildings. Blaker-Kinser Junior High School expanded classroom space in the 2005-2006 school-year with the addition of a new classroom wing. The new building added six additional classrooms, increasing the space for learning. Blaker-Kinser Junior High currently serves over 600 students. Blaker Kinser Junior High not discriminate on the basis of race, color, national origin,ancestry, religion, gender, sexual orientation or disability. Ceres Unified School District does not discriminate on the basis of race, color, national origin, ancestry, religion, gender, sexual orientation, disability, parental, family, or marital status.